With Alpine Lumber at 5800 Pecos, it’s all about location, location, location! 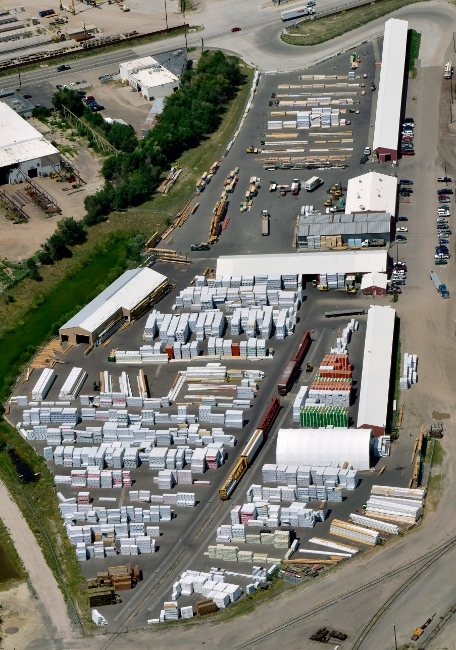 Strategically located in the heart of Metro Denver, we have direct access to the shipping lanes of the I-70, I-76 and I-25 corridors, ensuring timely delivery to anywhere in the metro area. 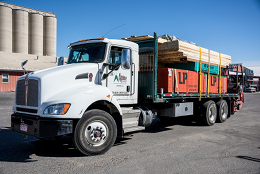 Armed with an infantry of tractor trailer, tandem axel and single axel 4WD trucks (most equipped with truck mounted forklifts), Alpine Lumber Denver has the ability to seek out your job site and service it at whatever attack level you command! Recently updated with industry leading technology, our Dispatch and Delivery Management System creates measurable efficiencies that differentiate Alpine Lumber from our competition. This system helps support our continual pursuit to be “The BEST supplier of building materials to the professional contractor”. Tracking operational and delivery efficiencies such as On Time / In Full (OTIF), Journey Value and Truck Turnaround Time challenges us to not only SAY we are the best, but to PROVE it! Fueled and propelled by the friendliest, most professional and builder-savvy staff in the industry, Alpine Lumber will help navigate you through your projects. Let us PROVE to you we offer and deliver the best building products and services to the Front Range market! Alpine Lumber has spent over 50 years building our business and reputation on this premise.